Transform MedEd 2018 invites international exhibitors and sponsors to come onboard to enhance the conference experience. Exhibitors will get the opportunity to interact closely with speakers and delegates. Sponsors looking for partnership opportunities will enjoy visibility and brand presence. 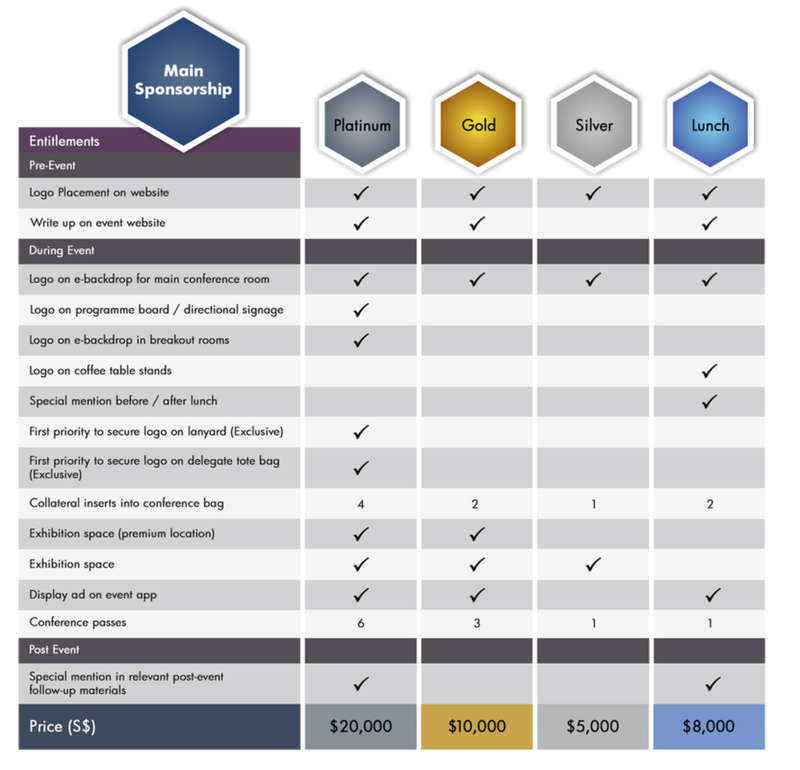 Sponsorship can be in the form of part sponsorship of overall costs, sessions, poster presentations and booths, conference mobile app, conference lanyards, badges and bags, event collateral advertisements, or meals. Showcasing high-quality content and exciting ideas from experts around the world, the conference will be attended by delegates from Singapore and the Asia Pacific including Australia, ASEAN countries & the United Kingdom, presenting the perfect networking platform to profile your institutions and companies. 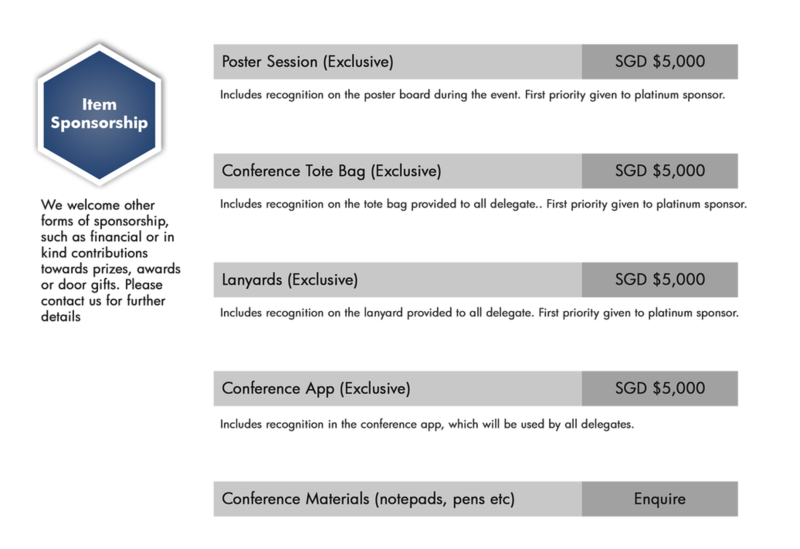 ​For more information on this, and the benefit packages which include branding and publicity, please contact the conference secretariat​. Copyright © 2018 Transform MedEd 2018 - All Rights Reserved.